This autumn world leaders will be discussing whether and how to make loans to governments more transparent. If you believe that people have the right to know about the debt taken out by their governments in their name please write to your MP now to ask them to take action. Recently there have been revelations about secret loans given by UK companies to the governments of Mozambique, Chad and the Congo. 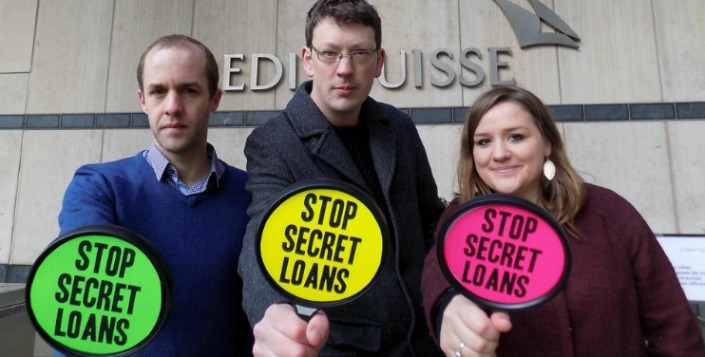 There’s also lots of secrecy surrounding loans from governments to governments, with loans from China and the UK’s own UK Export Finance, often only disclosed months if not years later. London is the largest financial centre in the world, and the majority of loans given to impoverished countries are issued under British law. That means that we have a big responsibility and a big opportunity to help bring about better transparency in lending, enabling people around the world to better hold their governments to account. Please write to your MP and ask them to call on the UK Treasury to lead international action on lending transparency at the G20 summit in November. Together we can help make lending and borrowing more responsible and accountable.